Ran on the roads around the academy. Beautiful day once again. 2008 Pikes Peak Marathon Manitou Springs, CO.
2007 California International Marathon Sacremento, CA. I started running in 2004. 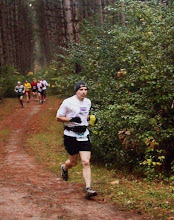 I have run 46 marathons with a PR of 2:42:32 at Green Bay 2011. My current interest is running road marathons and running ultra marathon distances. 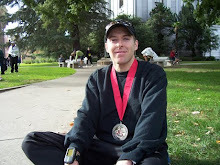 I have run 5 50Ks, 7 50 milers, 2 100ks and a 100 miler. Culvert trail to Garden of the Gods Rd. Copyright Brad Poppele. Awesome Inc. theme. Theme images by micheldenijs. Powered by Blogger.